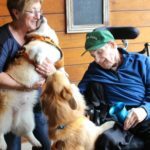 Pat Levinson and her therapy dog “Culley” have been visiting Tom Ackerson at his home for the past four months. 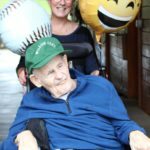 Each week, when the pet partner team visits, they talk with Tom about the Yankees and Tom’s life, while Culley snuggles into his lap and covers his face with kisses – just the way Tom likes it. 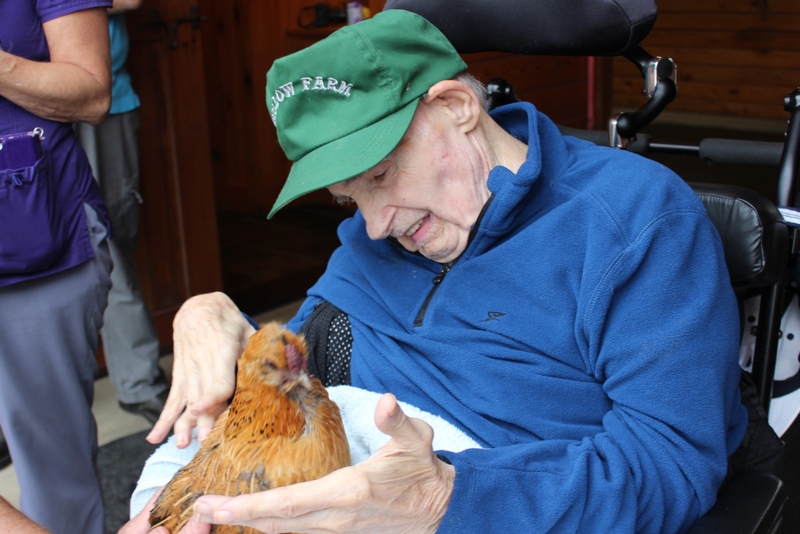 It was during one of these visits that Tom discovered that Pat and Culley live on a farm with many other animals. Pat told Tom about the horses she raised, her dogs and even the chickens, who she considers part of the family. Tom’s interest was immediately piqued, and it sparked an idea for Pat. 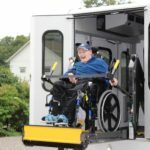 Tom, who lives in an Ability Beyond group home, and mobilizes by a specialized wheel chair, hadn’t been able to get out recently due to his declining health. As an early 82nd birthday celebration, Pat offered to host Tom at her nearby farm so he could see firsthand where Culley lives. With help from his hospice team, especially Tom’s social worker Nadine Finger-Thomas, they made this dream come true. Nadine worked with the Ability Beyond staff to get a specialized van lined up to take Tom on this special birthday excursion. 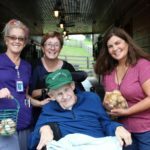 Pulling into the farm through an entryway of balloons, Tom was greeted by many members of his hospice team. Pat, of course, his hospice volunteer; Nadine, his hospice social worker, and even Chrissy Ford, his hospice home health aide. Tom was all smiles as he disembarked from his van, grinning from ear to ear. 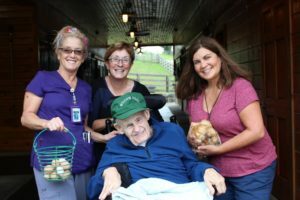 He rolled through the barn, feeding each horse an apple – including a miniature horse who was perfect height for Tom to feed and pet. 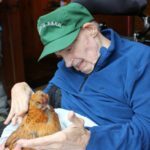 He even got to hold some chickens on his lap – something he had never done before. 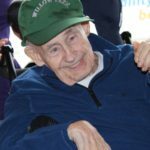 “The fact that he was able to get out and go on a road trip, something he always enjoyed doing and hadn’t been able to do for a while, was really meaningful for him,” said Finger-Thomas. It really was a special and unforgettable day for all involved. Tom holds his first chicken!